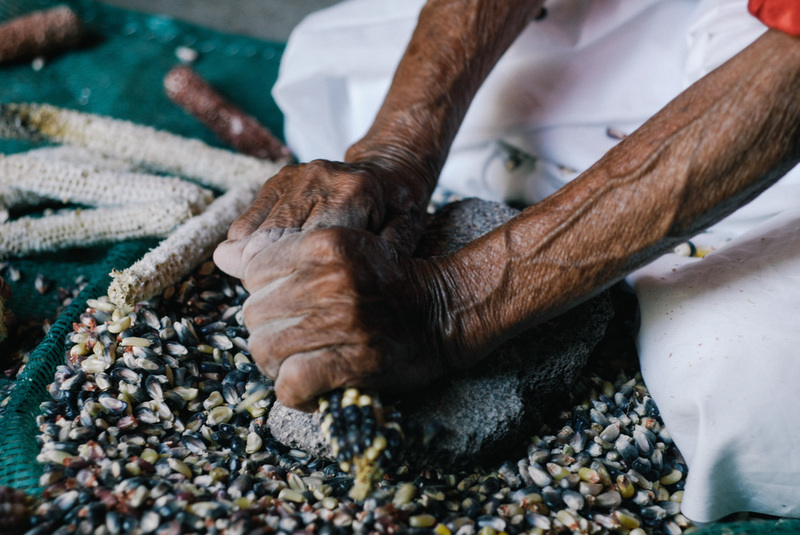 Angela's grandmother grains colored "pinto" corn by hand in a volcanic rock. Angela’s mother doesn’t speak spanish, her daughter in law doesn’t speak Otomi. Angela links both generations by language and cooking as youger members of indigenous groups lose interest in their heritage. Angela’s mother doesn’t speak spanish, her daughter in law doesn’t speak Otomi. Angela links both generations by language and cooking as youger members of indigenous groups lose interest in their heritage. 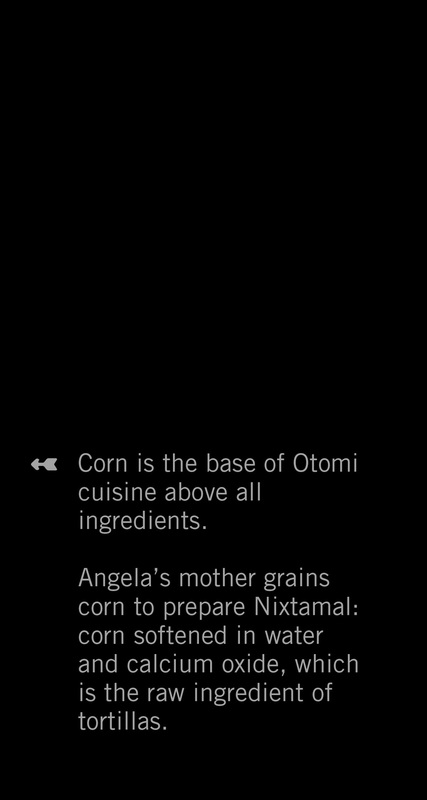 Angela’s mother grains corn to prepare Nixtamal: corn softened in water and calcium oxide, which is the raw ingredient of tortillas. Corn is the base of Otomi cuisine above all ingredients. Corn is the base of Otomi cuisine above all ingredients. 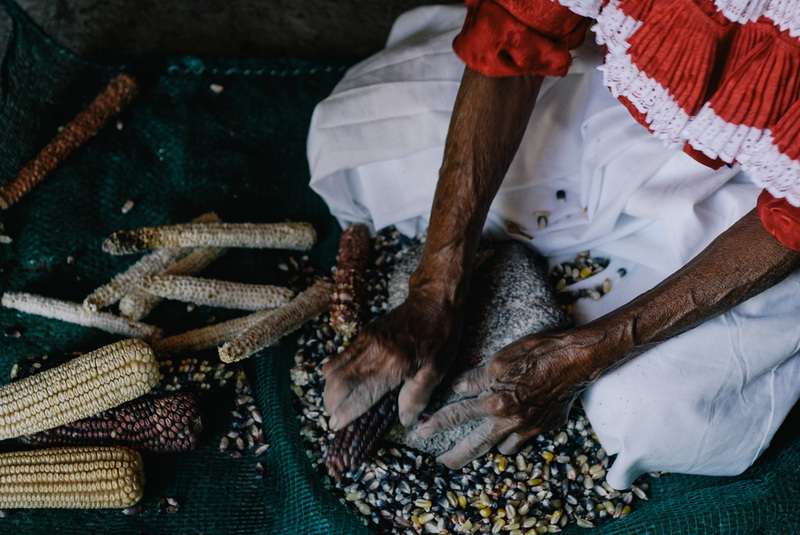 Many native varieties of corn are grown by indigenous people using traditional methods, in the picture you see white, "pinto" and "prieto" corn. Ingredients of the Otomi cuisine include varieties of corn, beans, green sprouts, chile, cacit, insects, eggs and semi desert small game such as turtles, salamanders, frogs and birds . Ingredients of the Otomi cuisine include varieties of corn, beans, green sprouts, chile, cacti, insects and semi desert small game such as turtles, salamanders, frogs and birds. 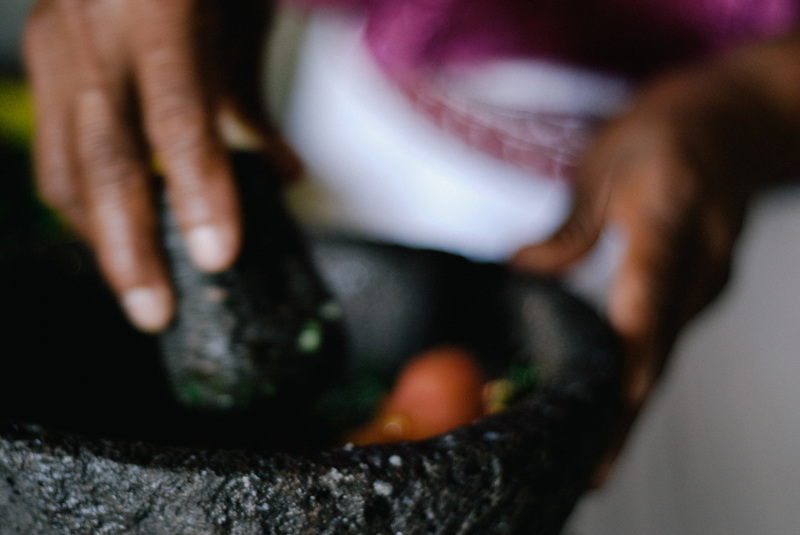 Molcajete is a mortar made of black volcanic rock used to grind salsas, the volcanic rock gives salsas a distinctive taste. It's popularity in Mexican and indigenous cuisine dates back to prehistoric times. 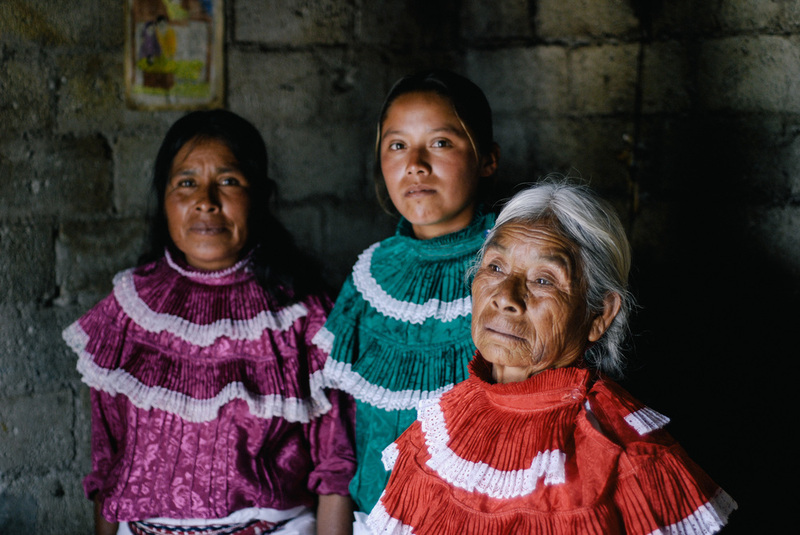 The Otomi are the oldest people in the center of Mexico predating Aztecs, Toltecs and Teotihuacans. Their exquisite gastronomy was documented in the book “Cocina indígena del sur de Querétaro” for which these images were taken. 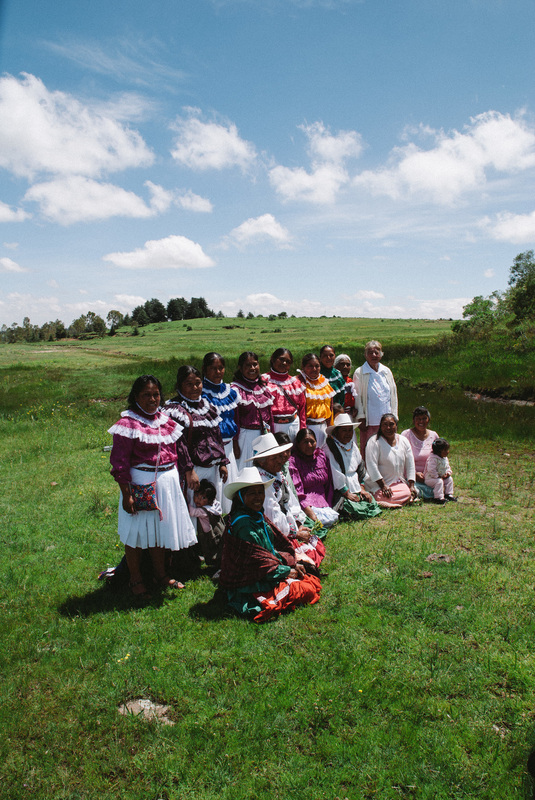 The Otomi are the oldest indigenous people in the center of Mexico predating Aztecs, Toltecs and Teotihuacans. 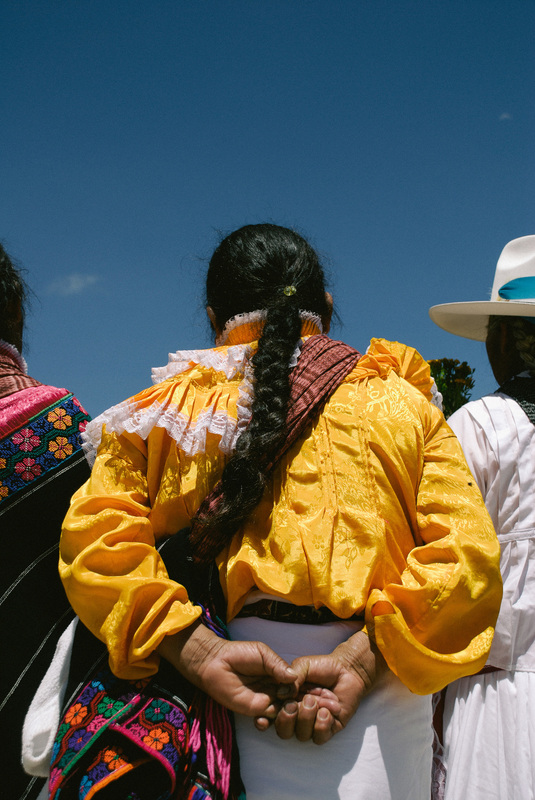 Otomi people of the south of Querétaro migrated into the state's territory after being displaced in the early days of the Spanish conquest. 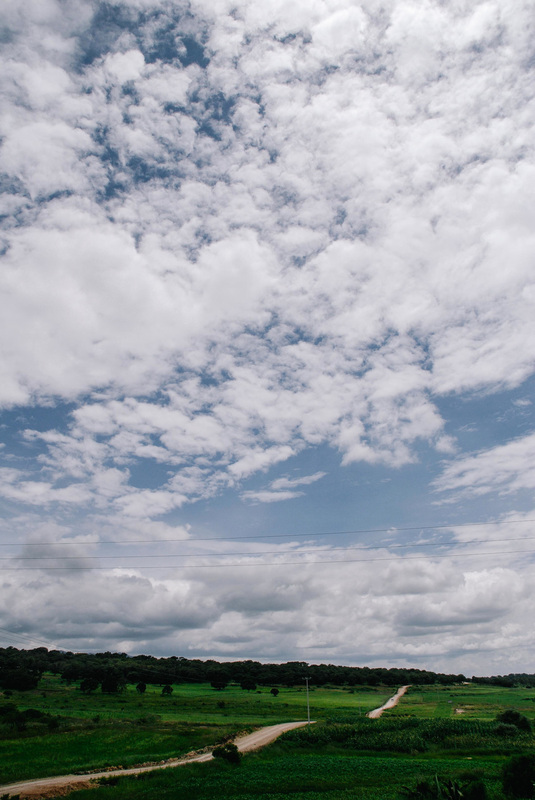 they settled in the heart of a mild mountain range populated by forests and small fauna. Trough four and a half centuries they developed a culture around feeding from this environment.